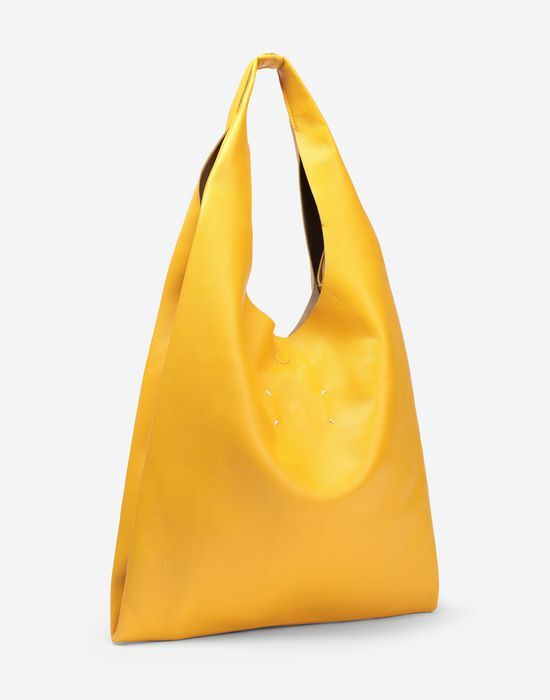 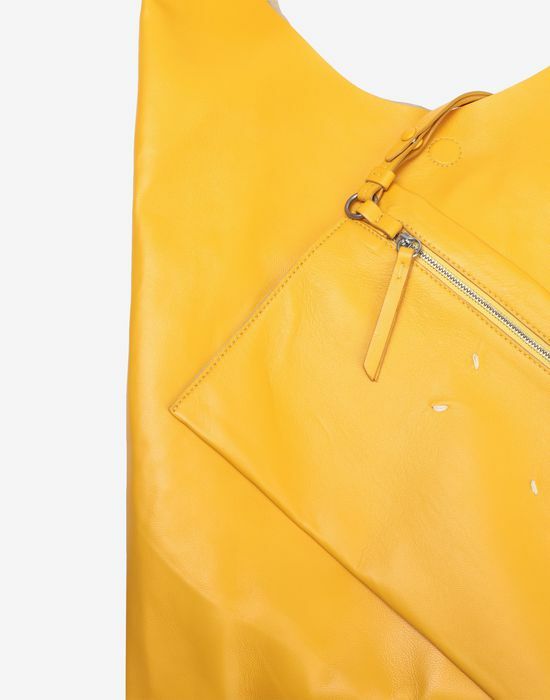 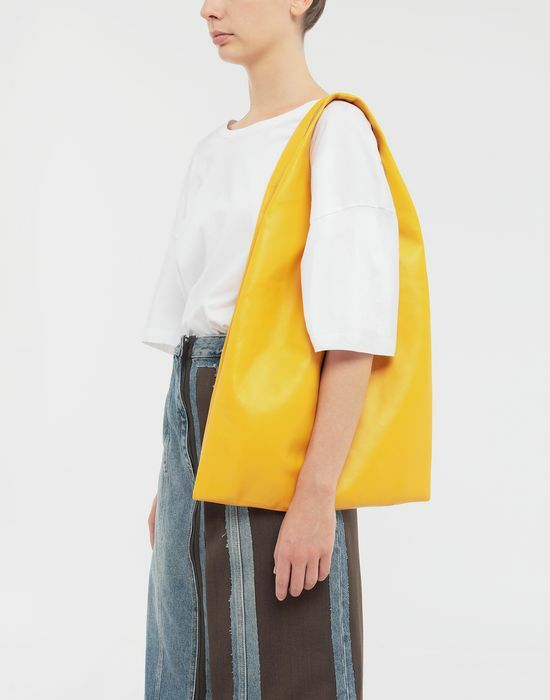 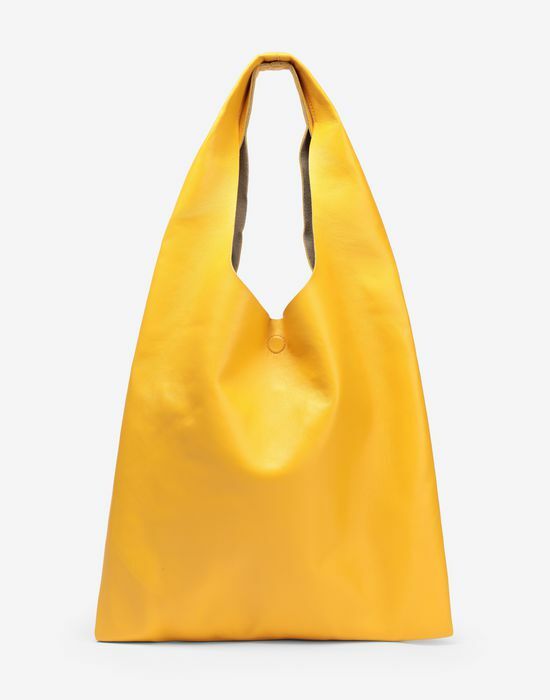 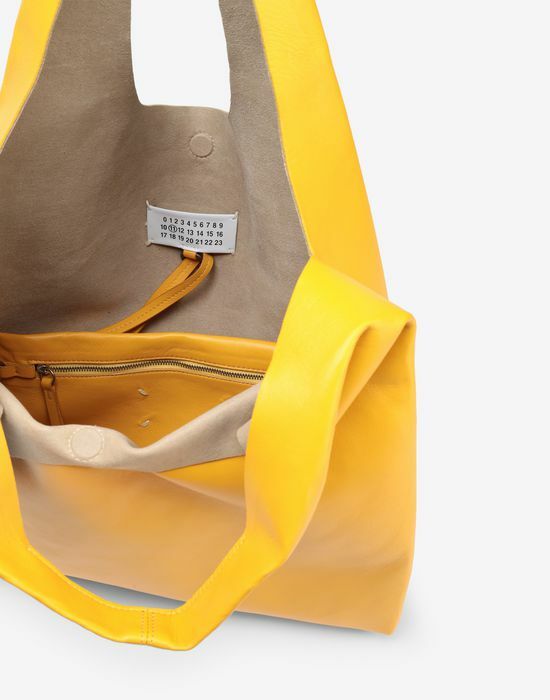 Add a playful pop of bold yellow to your look with this leather shopping bag. 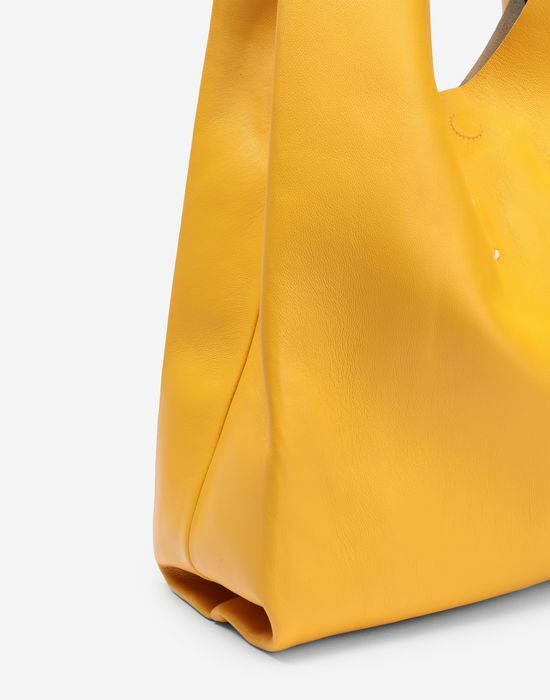 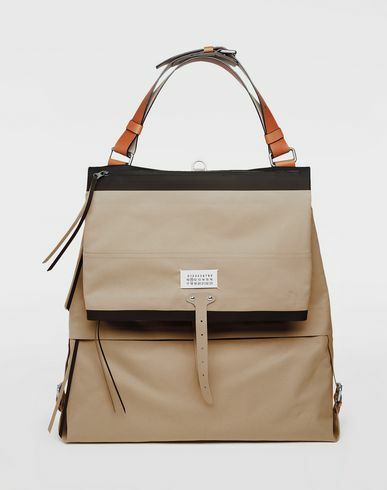 The shopper can be held by hand or on the shoulder and has a discreet popper fastening. 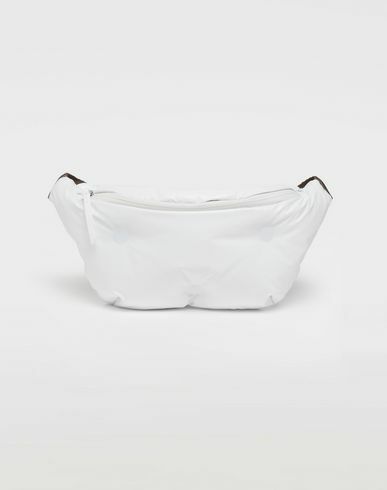 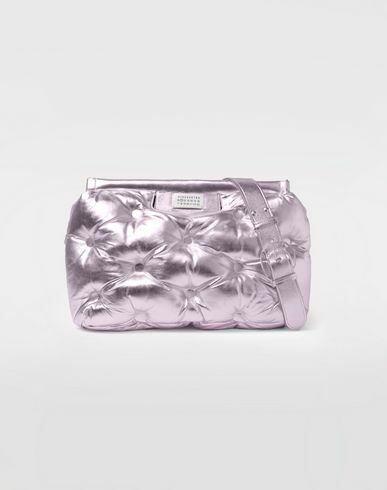 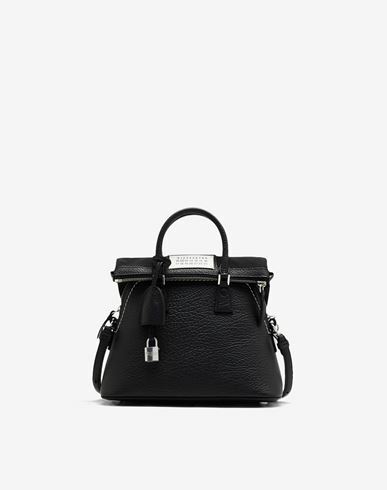 The slouchy piece comes complete with a large zipped compartment.